Trista Reynolds, mother of missing toddler Ayla Reynolds, holding banner at right, leads a walk in Portland Saturday to keep attention on her daughter's case until there's a resolution. Trista Reynolds, mother of missing toddler Ayla Reynolds, speaks to reporters before the start of a walk in Portland Saturday to keep attention on her daughter's case until there's a resolution. PORTLAND, Maine — Even though police say a missing toddler probably won’t be found alive, the youngster’s mother is working keep attention on the case until there’s a resolution. 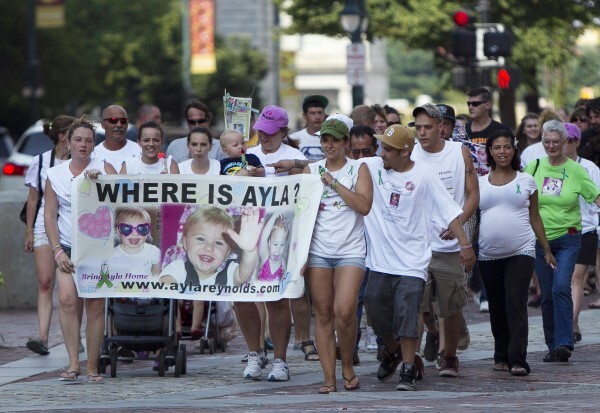 Trista Reynolds organized a walk Saturday from Monument Square to Deering Oaks Park in Portland to raise awareness about Ayla Reynolds, who was last seen at her father’s home in Waterville in December. 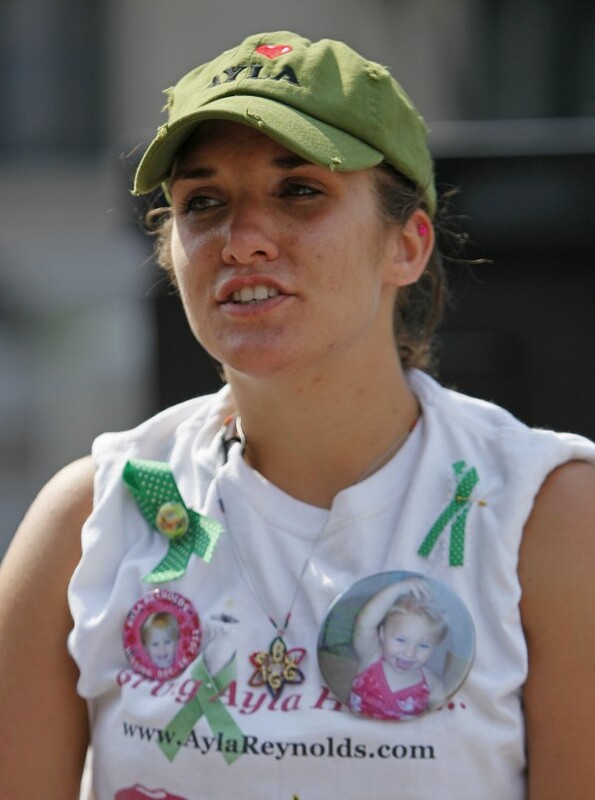 “I want to share with everybody the walk that Ayla and I used to do pretty much every day,” Trista Reynolds told the Morning Sentinel newspaper in Waterville. Ayla was 20 months old when was reported missing by her father on Dec. 17. The father, Justin DiPietro, said Ayla disappeared from her bed overnight, saying she was last wearing polka dot pajamas with the words “Daddy’s Princess” on them. She had a cast on her broken left arm. Police have ruled out the possibility that Ayla was abducted and have said they don’t expect to find her alive. But Reynolds still wants answers, and she wants to bring her daughter home. No one has been charged. A state police spokesman said there are no new developments in the investigation but that detectives are continuing to work on the case.